Smile 90.4FM breakfast host Lindy Hibbard (now Lehto) recently got married. She and her then-fiance and now-husband Peter celebrated their matrimony with 100 of their closest friends and family at Die Woud in Caledon. 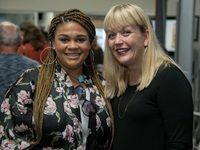 Good Hope FM used its recent lineup shuffle as an opportunity to introduce new presenters and time slots with donuts, donuts, and some more donuts. 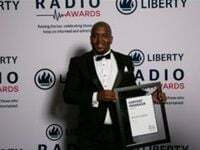 The 2018 Liberty Radio Awards is done and dusted. The event was held on 14 April 2018 at the Sandton Convention Centre in Johannesburg. The theme for awards was 'raising the bar - celebrating those who inform and entertain us'. Click here to see the full list of winners. CapeTalk's John Maytham launched his new book Rapid Fire at the station's studios in Cape Town on 20 October 2017. 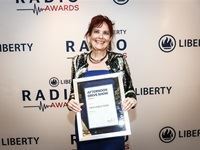 On 22 April, the Liberty Radio Awards took place at the Sandton Convention Centre in Johannesburg, and recognised people in the medium who have made worthwhile contributions to the industry. 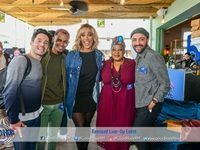 Jacaranda FM and Trackers' Off the Beat 'n Track took place on 8 April 2017 in Irene, Pretoria. 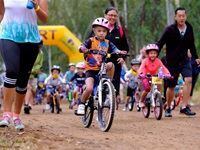 Mountain bike riders entered challenges which included two, five, 15 and 50km mountain bike trails through Tshwane's most scenic routes. 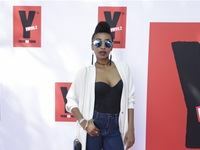 YFM 99.2 has introduced a fresh and new approach to radio, with the launch of ReUp. The show is aimed at a cosmopolitan audience and introduces a line-up of South Africa's newest radio talent. On 17 November, Hot 91.9 FM, one of Johannesburg's 'hottest' radio stations, celebrated two years on air. 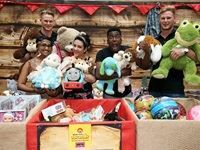 East Coast Radio's Toy Story with Game Corporate Day mobilised residents and businesses from across KwaZulu-Natal, to raise funds for the province's ill and disadvantaged children. More than R1.2 million was pledged during the Corporate Day challenge on 20 November 2015. "Kaya FM's Family Days continue to be the most anticipated events on the station's calendar. 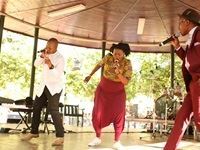 There's a number of fun-filled KFC activities along with great local musical talent for everyone to enjoy. We're proud to be a partner with Kaya FM to provide these occasions for families and children ...To come together, be active and share quality family moments." says Thabisa Mkhwanazi, Marketing Director for KFC Africa. 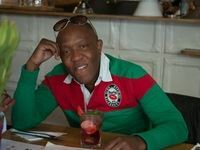 Kaya FM turned 18 years and on 7 August Kaya FM celebrated in style. 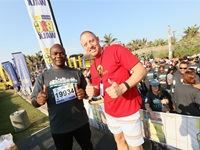 Tens of thousands of people from all across KwaZulu-Natal and even beyond were out and about at the Discovery East Coast Radio Big Walk on Sunday, 24 May 2015.